We went up north to find out if the performance oriented Bridgestone Potenza S007A is a good all-rounder for the daily as well as spirited driving. We all like to have a performance car. It's brash, quick around corners and it's fun to drive in general. But to live with one every day, that's a different question altogether because these kinds of cars are usually loud and they come with hard, uncomfortable suspension that is more suited for the track than the road. For some, this is a small price to pay to have a car that is enjoyable. The same can be said about tyres. Performance-oriented tyres, although fantastic in terms of grip and agility, are often noisy, uncomfortable and wear out pretty quickly. Is there a tyre that does well in all performance aspects without much compromises? Well, there is one which comes pretty close – it is the Bridgestone Potenza S007A. 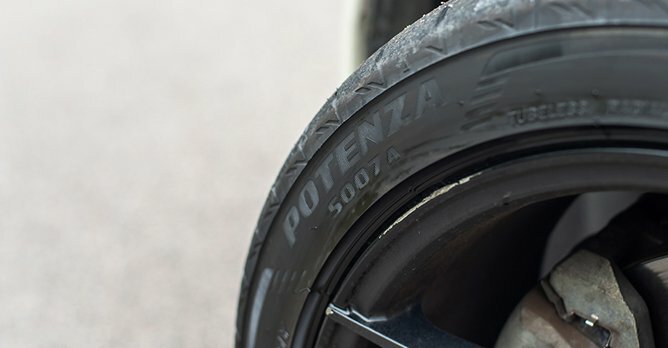 As one of the range toppers in the Potenza range of high-performance tyres, the S007A sets to fill up the gap between all out track performance tyres like the RE-71R, as well as the comfortable Turanza range. 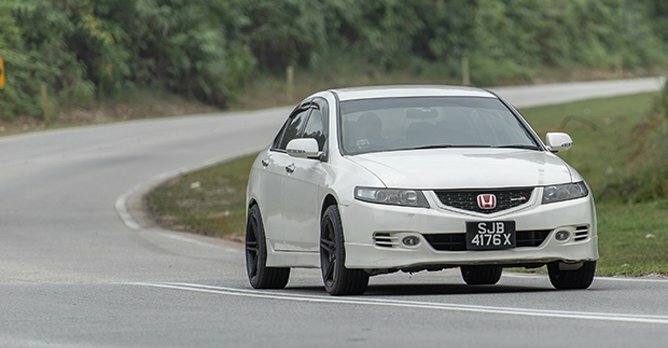 We went up north just to find out how the latest tyres in the Bridgestone Potenza range are like to live with when paired to a grown man's performance car, the Honda Accord Euro R. We tested our favourite aspects of driving, and what we look for in a tyre. I thoroughly enjoy a car that is quick on its feet from a dead stop, and it is my defining point for what determines a quick car from others. But there is always that issue of the car unable to put all of its power down. All your efforts will go to waste when everything ends up in a cloud of smoke - it may look spectacular, but in most cases, you'll look like a fool. With the S007A, the tyres perform well when you're gunning for that 0-100km/h sprint. Wheel hop is kept at bay, a common occurrence in front-wheel drive cars. Since the Euro R has a manual 'box, most of my time is lost from shifting, not through the tyres struggling to put it all down. Surprisingly, the S007A stops the car well. 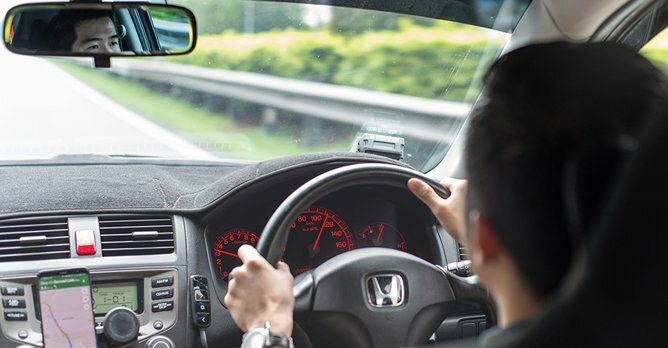 There is no numbness in steering under hard braking, which gives you the confidence to perform quick directional changes if necessary. I like a car that is fun to pilot around corners. But I'd like a tyre that performs well in the corners, too. You can have a great suspension setup for fast road driving, but it'll be pointless if your tyres are not predictable and not grippy. You won't be having fun if you're constantly worried about whether you'll wash out of the corner. The S007A is perfect for on-road use. It is very compliant, and doesn't give a harsh ride - which is nice considering some B roads aren't paved very well. 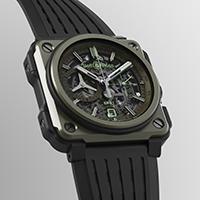 The S007A also comes with a stiffened sidewall thanks to its Kevlar flippers. This prevents the tyres from deforming ever so slightly when pushed to the edge. This, along with the strengthened central rib, translates to more predictability in the corners, as the steering will feel less numb, and provides enough feedback on how the car is reacting through mid-corners. The Honda Accord Euro R is my favourite as it blends some aspects of what Honda is known for - a high-revving, naturally aspirated mid-executive sedan that doesn't compromise on comfort. I like a car that allows me to daily drive it in absolute comfort over long distances but with a little bit of power from up front. Hence, the tyres compliment the car's natural abilities. The S007A's increased stiffness allows for better steering feel at higher speeds, but doesn't give it a harsh ride and is rather quiet. The reinforced thread block ensures more contact pressure on the road too, maximising grip. These things make the S007A much easier to live with every day, especially if you look for more driving involvement without compromise. A set of Bridgestone Potenza Adrenalin RE003 tyres to be won!